The distance between the head and the mattress is often greater for people who sleep on their side than for people who sleep on their stomach or backs. To keep the head straight and consequently keep the spine in its proper position, this distance has to be filled. Lowering your head toward the mattress makes the neck to bend, thus exerting pressure on the nerves, and strains tendons and muscles. This is why you sometimes wake up feeling fatigued in the morning, or perhaps with back pain or headaches, tingling sensations in your arms and legs, or muscle weakness. It is as a result of a bad sleeping position. This could even cause problems like sciatica. Pillows like the neck pillow, body pillow, and knee pillow can help you solve this problem. I’m sure by now we know that majority of the people prefer this sleeping position. This is, in fact, the best sleeping posture for anyone to adopt for a healthy spine. First We will start to look at the different types of pillows and how best to place them for good spine health when sleeping with the side position. 1. Put a pillow underneath your neck to provide support for your head and neck and to keep it in normal line with the remaining of your body. Remember also that the use of softer pillows or more than one pillow placed under your neck while you are asleep at night. It may raise your head slightly higher than usual, and this can cause some stress to the muscles of the neck which eventually leads to conditions such as stiffened necks, headaches, and torticollis by the time you awake in the morning. 2. Having a body pillow may provide you with better aid and support for your shoulders and legs just in case you sleep alone at night. 3. 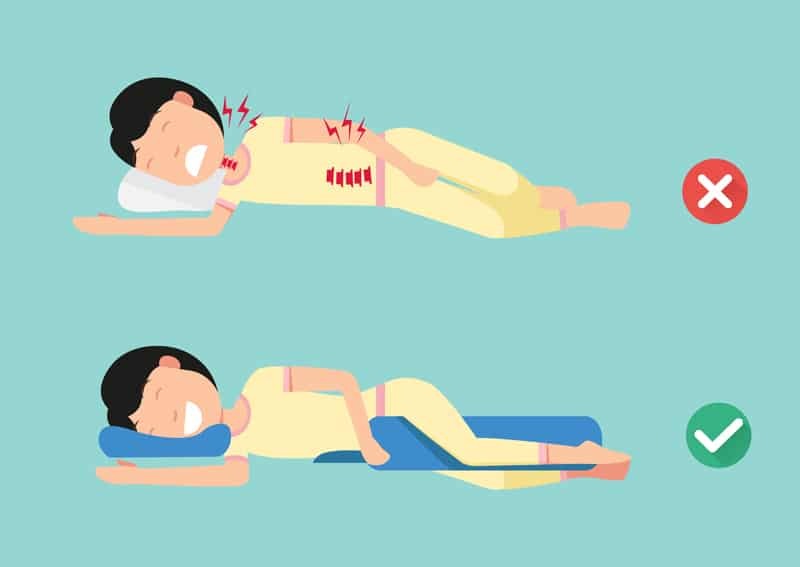 Put a knee pillow in between your knees to take away some of the pressure from your hips and lower back, and this will greatly benefit your spine once you sleep using your sides. There are many ways side sleepers can place their pillows to have a good sleep. Positioning the pillow on the side of your body and in between the knees helps the hip stay in correct position. Just like the neck, positioning the hips incorrectly pushes the spine out of position and could result in muscle and nerve aches. Just like the pillow used to support the head and neck, the side sleeper pillow used for supporting the side and knee must have all it takes to be splendidly comfortable, while at the same time strong enough not to crumble under the weight of the sleeper that it turns out to be inutile. Here, we will go over the side sleeper pillow suitable for those who sleep on their side. We have decided to go for or the pillows with the unique function for those who sleep on their side. Furthermore, we have narrowed it down to only products with over 50 reviews on Amazon since you cannot cheat Amazon’s reviews. Manufactured by Snuggle-Pedic, this body pillow promises a body support that will maintain its shape when in use throughout the night and overtime, and yet providing the needed comfort for a good sleep. This is possible because of the shredded memory foam inside the body pillow. What the shredded memory foam does is to let the user reorganize the material in any way they feel is perfect for them. The users could choose to distribute the material uniformly over the entire pillow, or they could decide to put more of the materials in a particular part or parts of the pillow to enhance support. The interior of the memory foam adjusts according to the shape of the user’s head to give support to the user’s neck while sleeping on their side, back, or stomach. 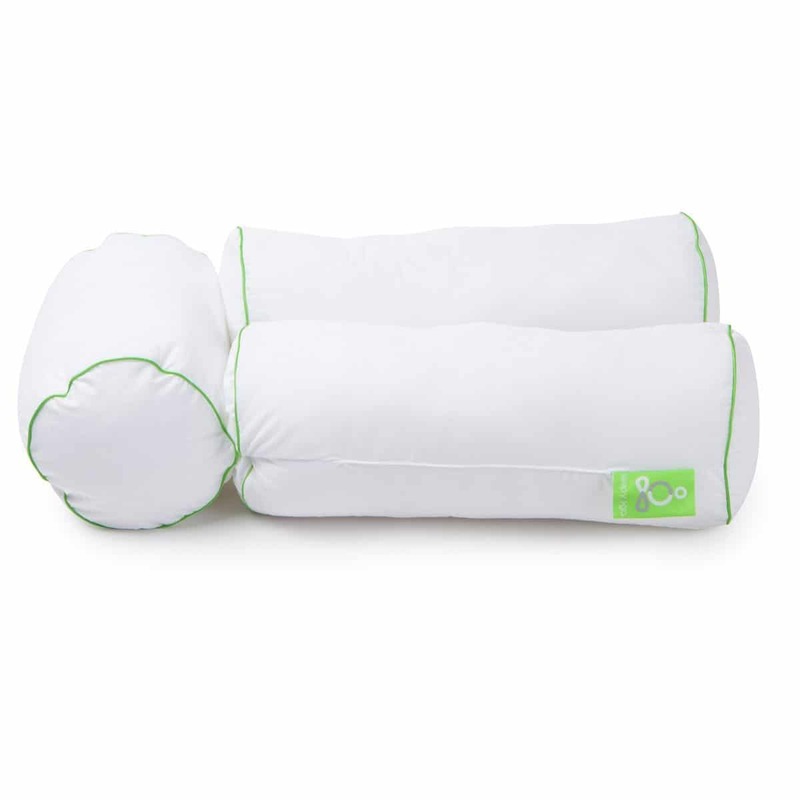 Owing to the support it gives, the body pillow eases neck, back, and shoulder pain as the user rests or sleeps. 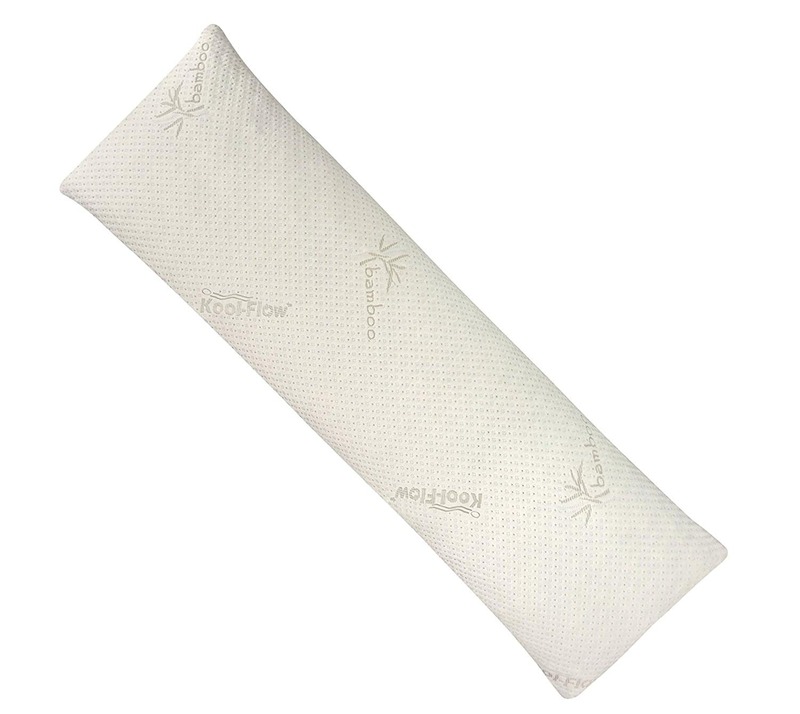 The Snuggle-Pedic Body Pillow composes of Eco-Friendly Biogreen, and CertiPUS-US accredited bamboo shredded foam. Just like the interior, the Body Pillow’s exterior was crafted while being mindful of quality and unlike other pillows made of feathers or other materials. The Body pillow will maintain its shape because of high-quality materials. Other body pillows will require plumbing to retain its original shape while the Body Pillow has no need for this. The pillow is roughly 54 inches long, and its weight is 6.9 pounds. Its length makes it longer than the regular body pillow. This body pillow is largely crafted to prevent pains in the joints and insomnia during pregnancy. 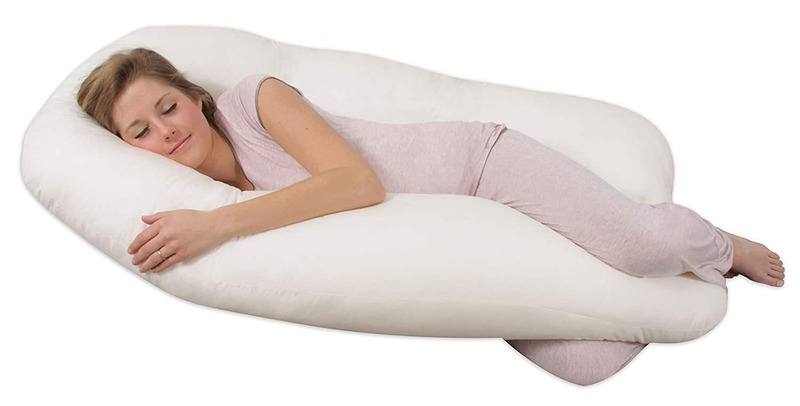 Even though this body pillow was designed with pregnant women in mind, it could also be used by men, non-pregnant women and even those who sleep on their side so as to recover from the symptoms of insomnia. It gives support to the back and stomach while sleeping, and yet does not take the support of pillows on both sides. This Body Pillow’s shape is meant to ensure your body is comfortable through the night in the same way as your head would lie on a soft-cushioned with your back and belly snuggled between the hollow gaps deliberately shaped in such a way that it perfectly supports the pillow. The bottom ends of the body pillow are designed to actively adjust the positions of the legs while the user is asleep. Its inner contour shaped like the figure 8 allowing for comfort while nestled in it. Other users can as well use it, and it is especially suitable for pregnant women. It eases the effects of sciatica, gastric reflux, carpal tunnel, and nasal congestion. It is also specially designed to alleviate the effects insomnia and joint aches during pregnancy. The body pillow is latex-free and BPA-free. It is also phthalate and lead-free. This would be quite helpful in giving you that natural and comfortable sleep you so desire. Note that the product has diminutive to no disadvantages which can be easily overlooked, however for some people, it may cause sleepless nights if the problem is not resolved appropriately. The most typical issue observed with this product is the seam at the head section of the pillow which often presses hard against the shoulder causing feelings of irritation throughout the night. This side sleeper pillow is innovative, new, and essentially, comfortable. Each of this these body pillow is made in America and make use of patented filling materials brought in from Denmark. This combo results in a sleep product that possesses the quality and advantages you have possibly never experienced or seen before. It is soft, hypoallergenic, washable in machines, and are produced from the biodegradable substance. This side sleeper pillow will never clump and will always retain its shape. Experienced chiropractor designs this product, an expert in sleep products and a leading designer in the industry. Every angle, contour, and surface of this sleep product are crafted to go well with the different body dynamics and assist in maintaining a beautiful body posture. It is of a medium length, and its tri-section design is meant to improve the way one stands, sit, and very importantly, feel. All this is achieved while one is asleep. This body pillow is designed to perfectly support your hip, shoulder, neck, knee, and your body’s lumbar sections. It is also very safe for pregnant women. Its length is put at 8x8x54 (inches) making it large enough to give support, and yet small enough so that it won’t cover the whole mattress. This knee pillow is perfect for individuals with sciatica, backache, leg pain, joint and hip pain. It is also suitable for pregnant women. 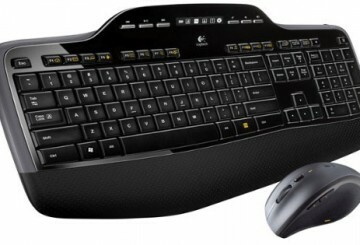 Its ergonomic design helps in keeping the legs, hips, knees, and spine in the correct position. Designed with ergonomics in mind, the knee pillow fits right between your knees, and comfortably, providing utmost comfort and support while you sleep. It helps ease the pressure on the lower section of the back and relieves pains resulting from sciatica. The material is a 100 percent premium and firm memory foam. Its high-quality, long-lasting memory offers comfort over extended periods or even for hours. This makes it superior to other knee pillow as it won’t get flatten during use for a long time. The cover is a premium breathable material and guarantees total satisfaction. 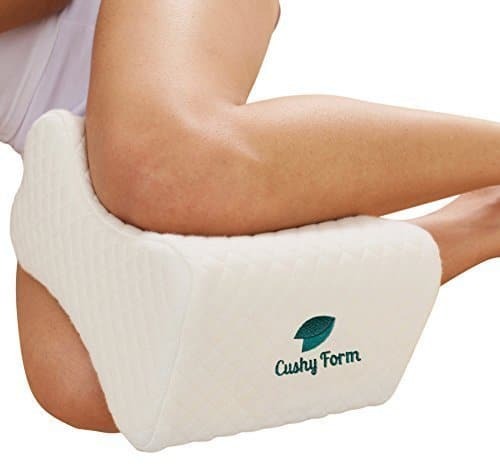 This knee pillow is instrumental to giving you that much-desired comfortable sleep at night. The designer designs the product specifically for individuals with sciatica and other related issues. This product helps alleviate a backache, swelling and ache in the leg and ankle through providing correct spine positioning. It is superb for side sleepers and in turn perfect for pregnant women. This knee pillow enhances circulation for those who sleep on their side and use to space the knees in pregnancy or after giving birth. It even comes with a free storage and travel bag. This knee pillow also comes with a premium memory foam cushion. 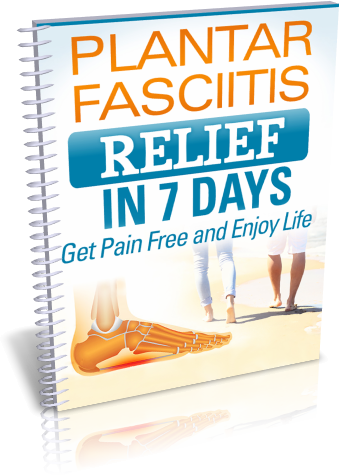 It is usually recommended by therapists, chiropractors, sports trainers, and doctors. Additionally, you are 100 percent guaranteed money back offer. It is also hypo-allergenic.